Puma x Barbie Suede 50 Collab: From Dressing Barbie To Dressing Ourselves…? Growing up, Barbie has been almost every girl’s childhood companion. So, it did not come as a surprise when everyone started going gaga over the exclusive PUMA x Barbie Suede 50 capsule collection. Whether you have played dress up with Barbie or not, we’re certain that everyone is aware of the impact that Barbie has. To pay tribute to this iconic doll, PUMA is releasing two Suede sneakers and a line of apparel and accessories. 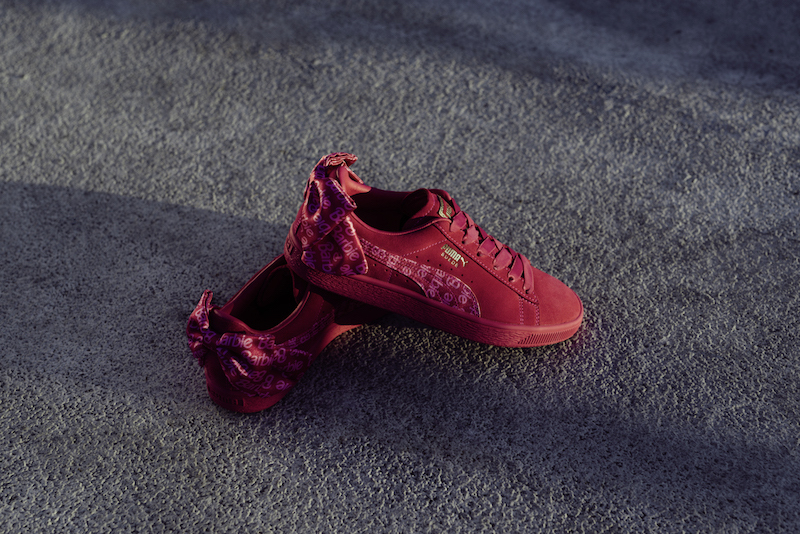 The first sneaker style is an all-pink affair with a lush rosy Suede upper with matching pink soles, laces and collar lining. A pink and white formstrip with the iconic Barbie logo pattern wraps around the shoe. And the pink satin bow at the back of the shoe is every Barbie girl’s dream come true! The second style features an all-black suede upper sitting atop the classic black textured sole with a similar satin bow at the heel. 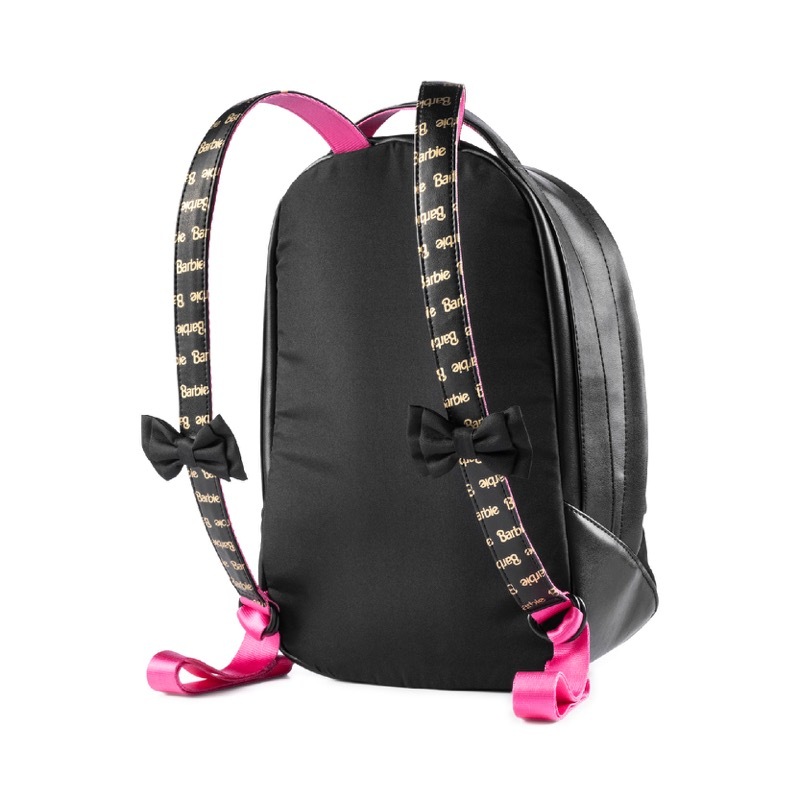 The black-and-pink satin bow adds a sweet and feminine touch to the chic shoe. As for the apparel and accessories, the black racerback crop top will help you work out in style. The black Barbie logo is plastered all over, with an elastic hem, mesh inserts and cutouts for breathability and fit. 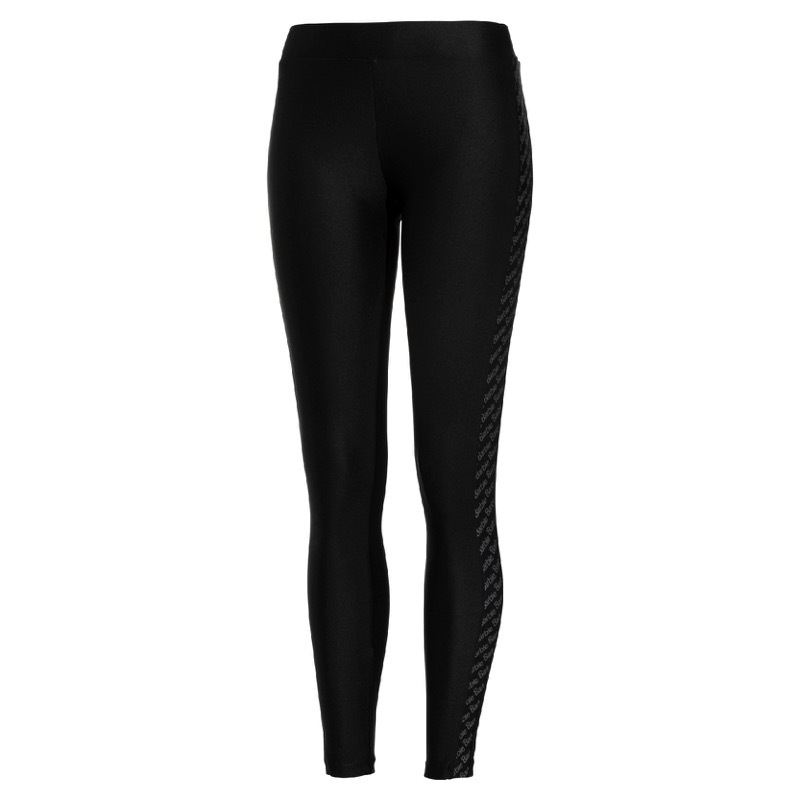 And no workout is complete without a pair of leggings. 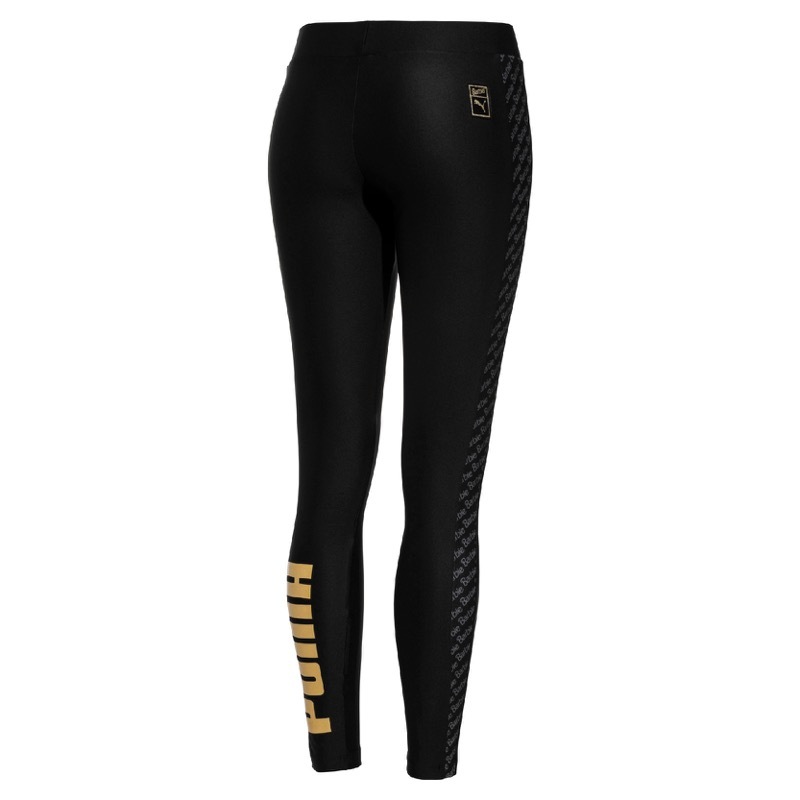 Go full out Barbie with the all over Barbie logo down the side of the leg panels. 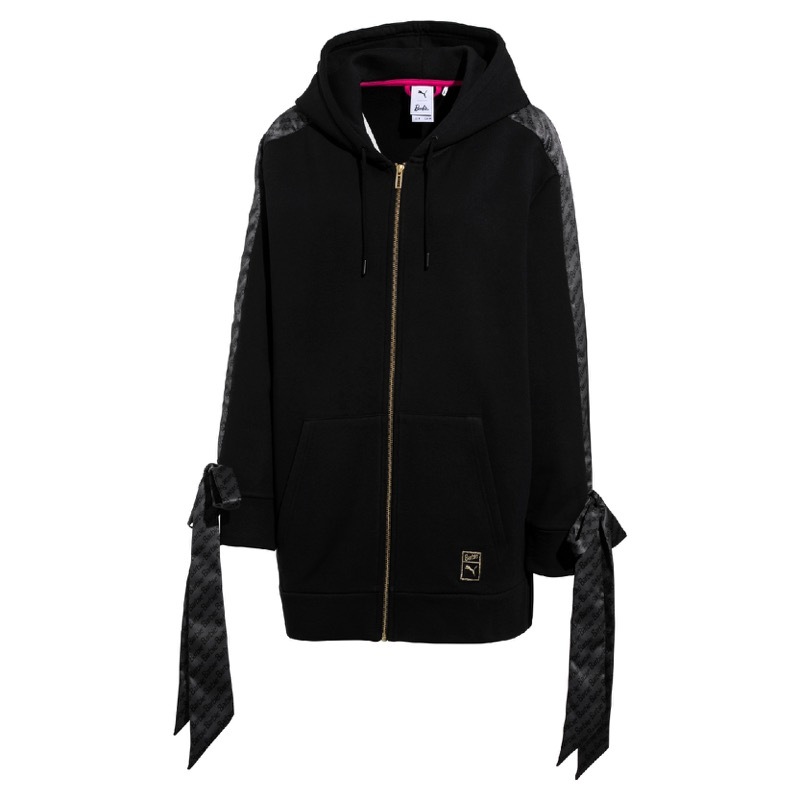 Get the PUMA x Barbie T7 hoodie, made of 100% fleece. The elongated panels can be tied into a bow or left hanging with flair! 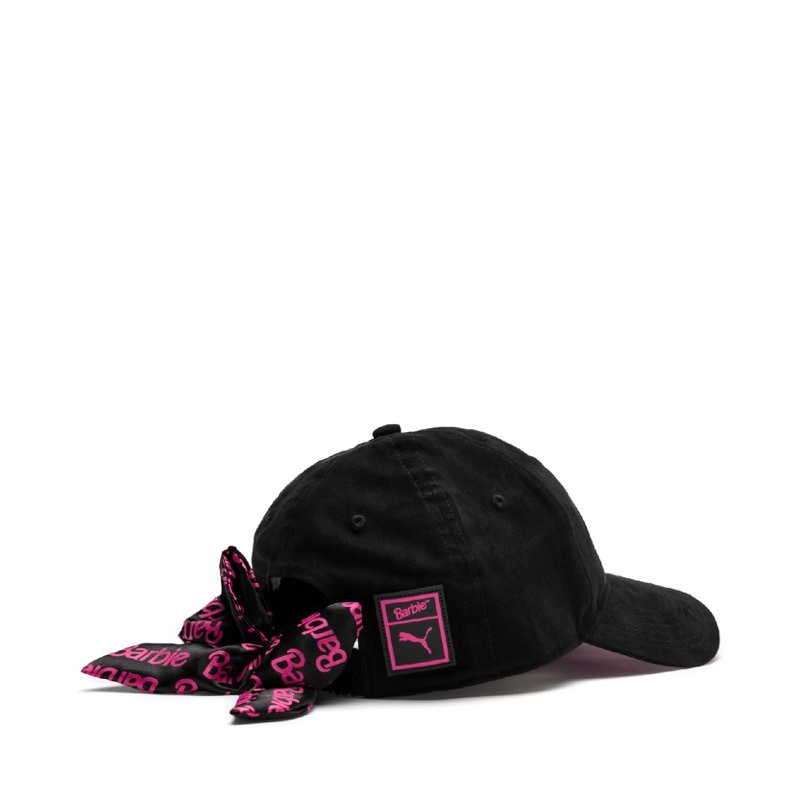 The accessories include a black baseball cap and a backpack with black-and-pink shoulder straps. Be prepared to make a statement. You can be a Barbie girl at any age, as this collection comes in women’s, kid’s and preschool sizes. Play dress up IRL with this capsule collection! Purchase Barbie shoes + Barbie doll (Blond or Black) in one package at $225. 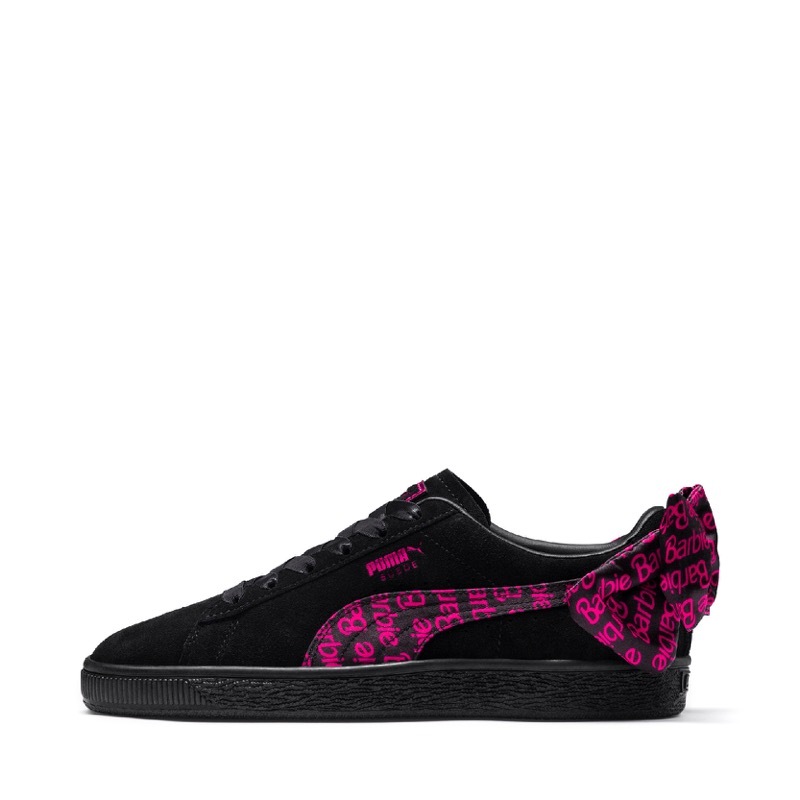 Stockist: Limited Edt and On Pedder, PUMA SELECT MBS. Purchase Barbie adult and Barbie Kids shoes to get 1 Blond Barbie free. Total cost is $230 or $240 depending on whether it’s infant or preschool footwear. Stock: TBC. 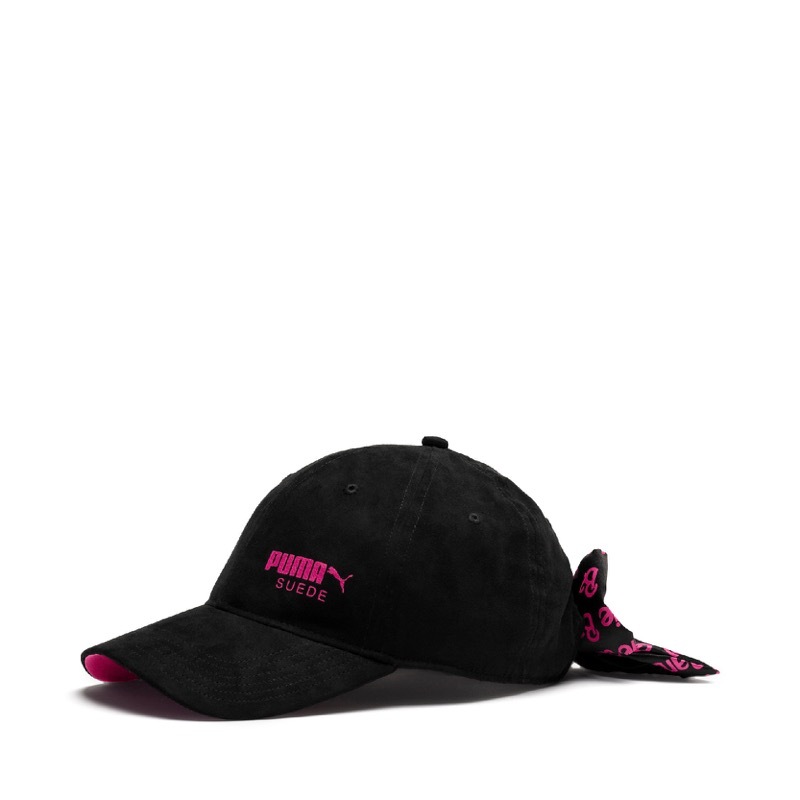 PUMA x Barbie, ranges from SGD50 to SGD225. Available at all PUMA stores, Jay Gee, Left Foot, Limited Edt., Tangs, Trendz360 and The Social Foot from 6 Dec.